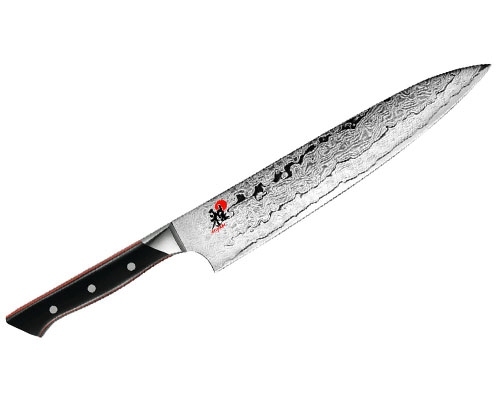 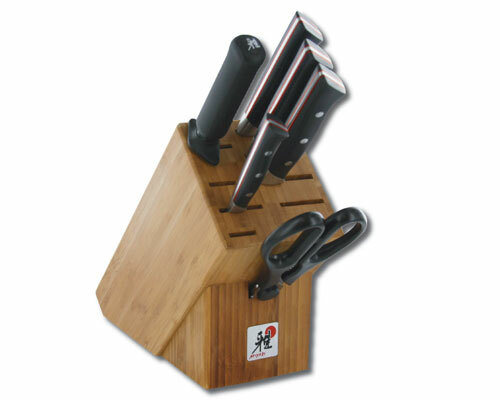 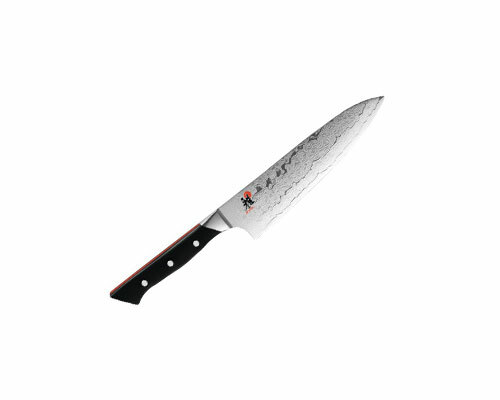 The Miyabi Fusion line of knives were designed by Iron Chef Masaharu Morimoto. Each knife features 32 layers clad on each side of a VG-10 "super steel" core, creating a beautiful Damascus flower pattern. 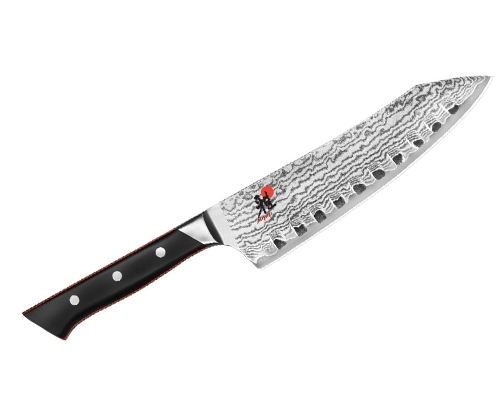 Each blade is hand-honed using a traditional three-step honbazuke process, which are then Cryodur ice-hardened for enhanced hardness and flexibility. 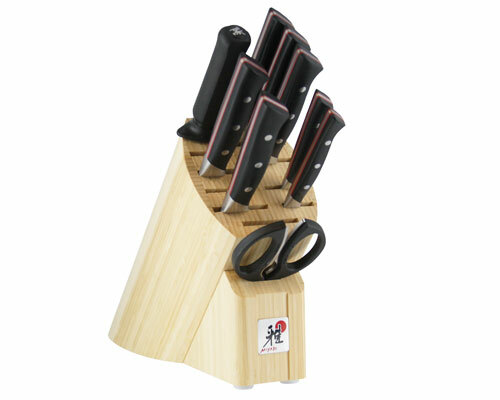 The triple-riveted western style handle is of black resin with a full tang and eye-catching red accents. 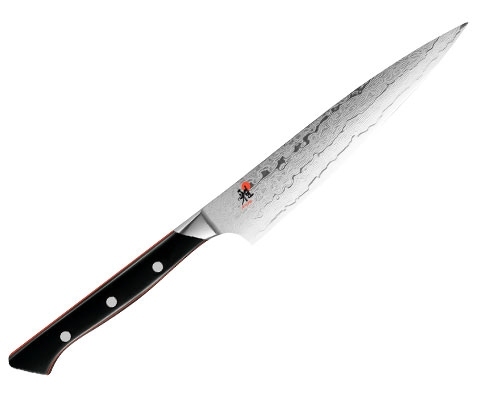 The Miyabi Fusion 3.5 in. Paring Knife is a great tool for garnishing, coring, and cutting smaller items. 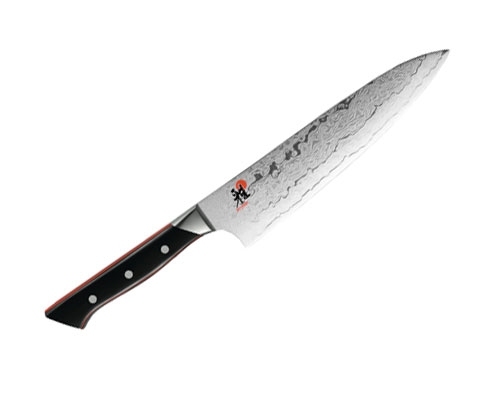 The extra Damascus layering and red handle inlays create the appearance, the VG10 core provides the Japanese razor-like functionality. 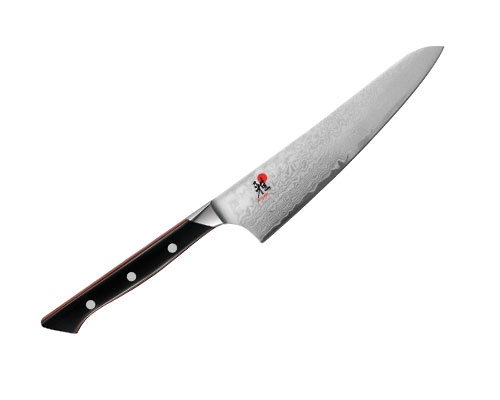 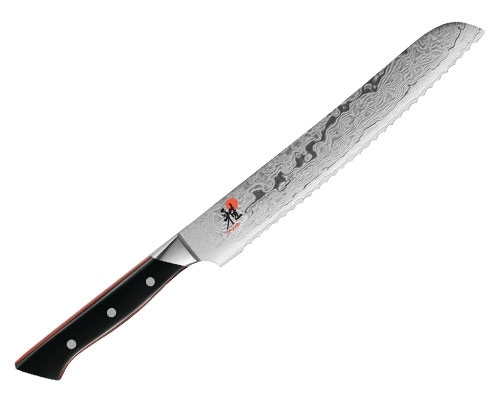 A traditional Western, riveted handle provides a level of familiarity and comfort that many Chefs prefer.